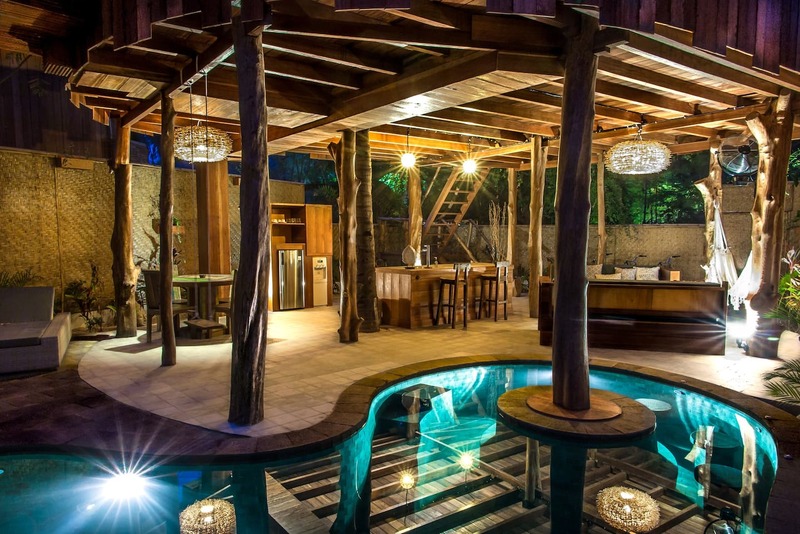 Why stay in a hotel in Bali when for a fraction of the price you can stay in an jaw dropping private villa for half the costs! 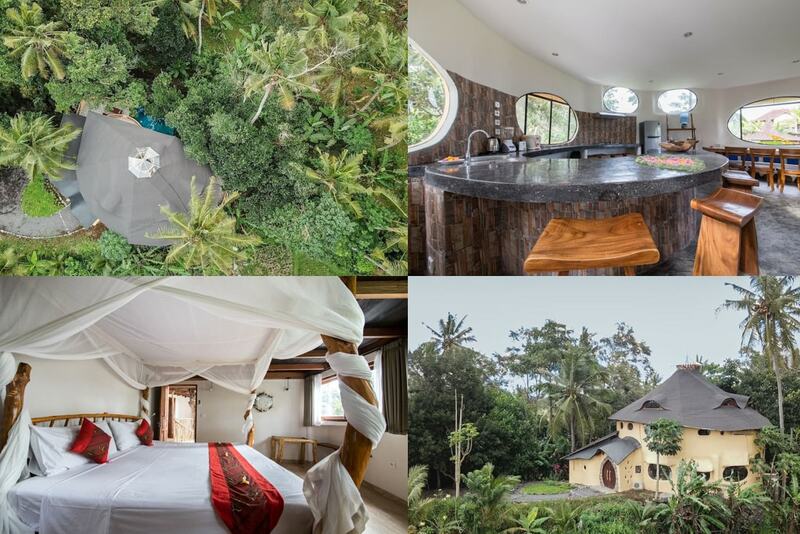 Bali is an island awash with stunning hotels and traditional architecture but this island's accommodations stretches so much further than just hotels and hostel for a price you probably can't believe. 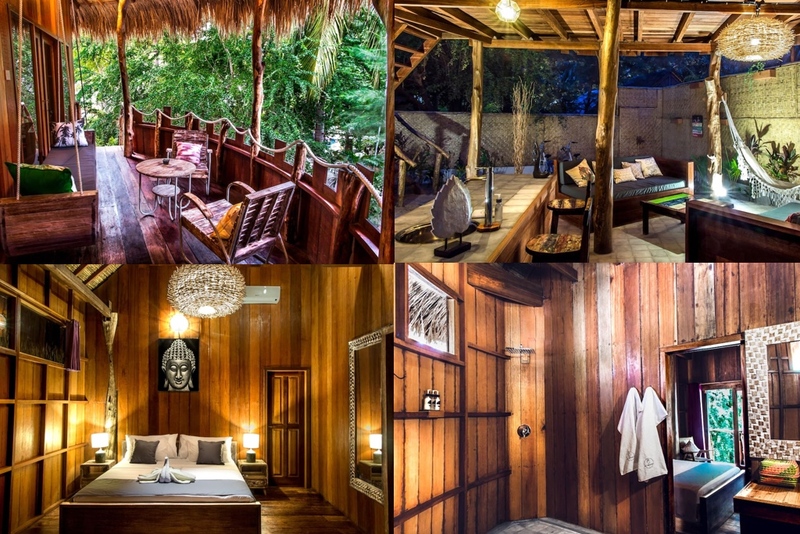 With over 2000 AirBnB's on the main island there is plenty of choice, a little too much when you actually start to look but fear not as I have compiled the best of the bunch with a list of 9 unique AirBnB's on the island of Bali. In the beginning of the 19th Century it used to be a 9 month epic sail via Cape Town and Bombay to reach Singapore before you could catch the shorter boat over to the island of Bali, thankfully today its a little more convenient and you can fly to Bali via Dubai, Qatar, Singapore, Kuala Lumpur and many more international airports. From the UK you can fly direct (13 hour flight) from London with British Airways, Qantas, Singapore Airlines, Malaysia Airlines and even Norwegian Air to Singapore or Kuala Lumpur from here its only a £80 round fare with Air Asia and about two and a half hour flight to Bali. Flights from London start from £375pp return for economy, £1050 in premium economy, £2250 in Business Class & £2900 First Class. 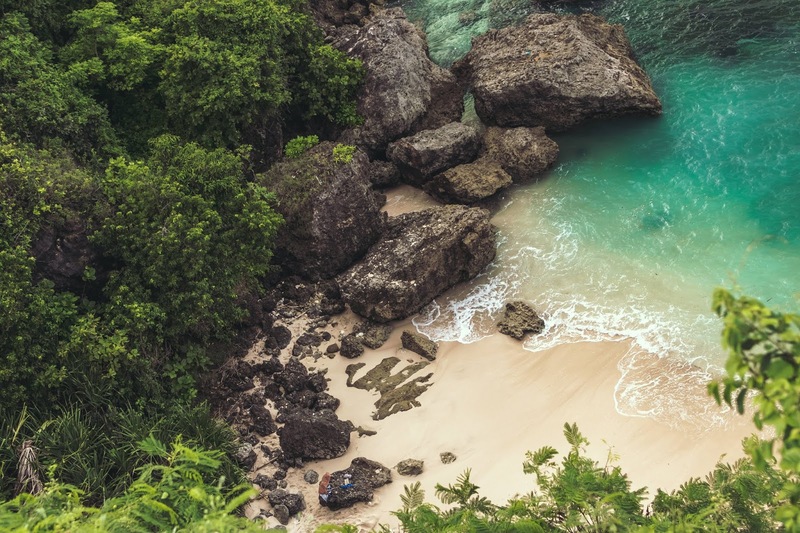 Alternatively you can fly through the Middle East to break the journey into two 7 hour flights from many UK airports direct to Bali but these can cost quite a but more (from around £700pp). Click on the title or pictures to take you to AirBnB website and remember you can get £25 off your first stay with my referral link here. 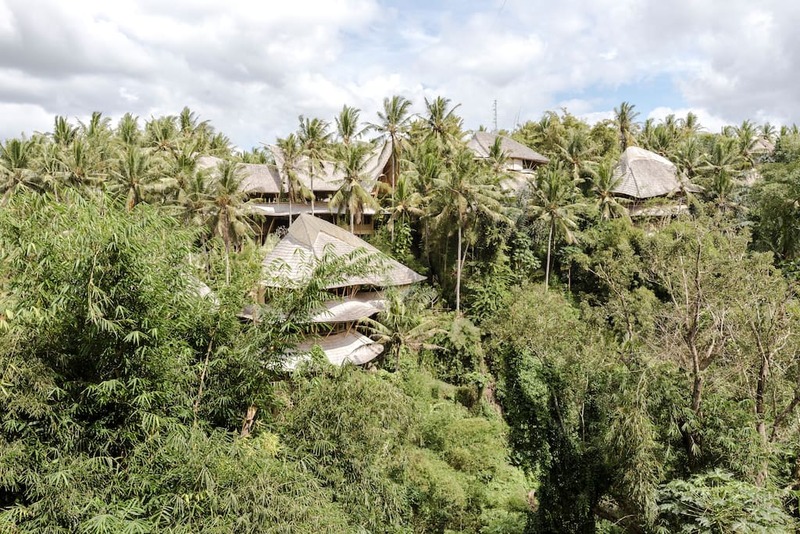 Why I'd like to stay: If you want to escape from the busy party scene of coastal Bali and want a more remote and quite holiday then this could be the place for you, being 35 minutes from the coast and located in the middle of nowhere this truly is a hideout. 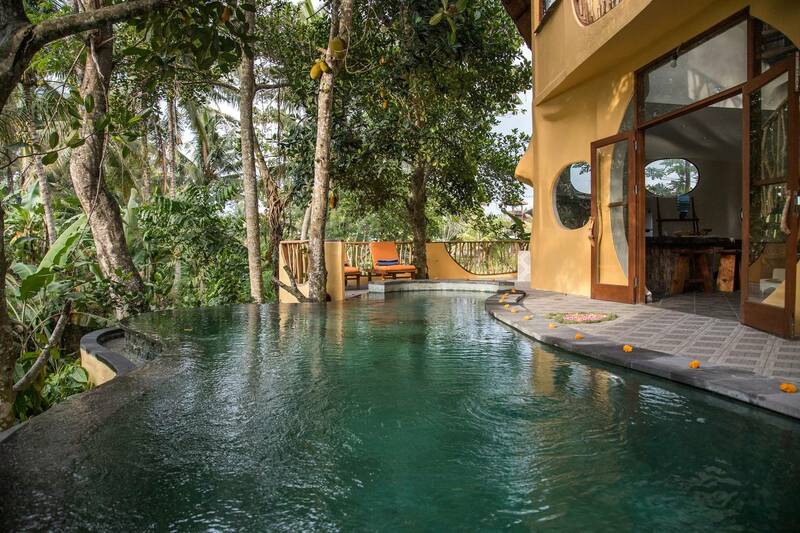 With the small private infinity pool and the extra hut bedroom outside there is enough space to invite 2 extra people along with you to enjoy a more quiet Bali holiday. Why I'd like to stay: Located in a secluded beach front plot but only being a 30 min drive to the local village means you can get away from it all yet still be close enough to civilisation to nip to the shops. Imagine chilling by that pool with 5 friends and coking up a meal in that stunning kitchen and lounge area, this is the perfect family or friends holiday home. 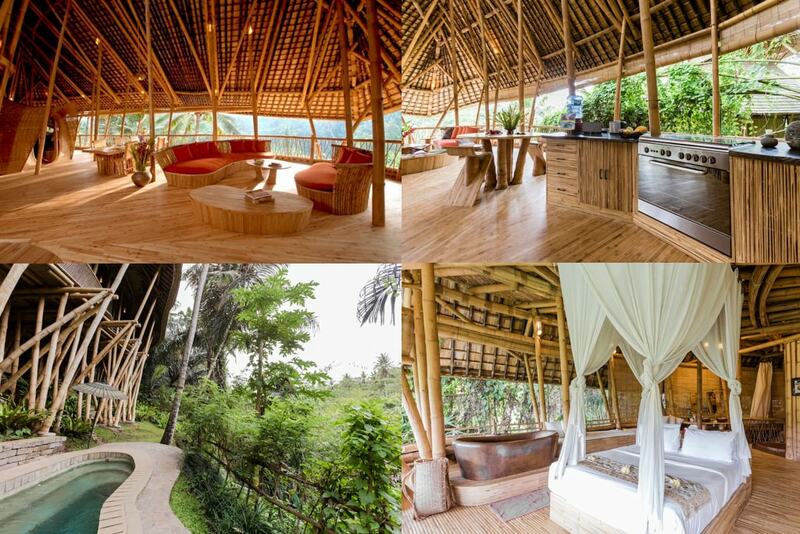 What: An Eco tree lodge with a queen side bed and the option for an additional mattress for friends. Key Features: Located near 7 waterfalls, stunning views, large bedroom and balcony, lots of outdoor space to chill out in, restaurants within walking distance. Why I'd like to stay: If escaping technology is your thing then this might be the place for you, with no alarm to wake up up and plenty of outdoor hammock and sun lounger space you can spend the day catching up on your latest book or just enjoying the sound of nature. 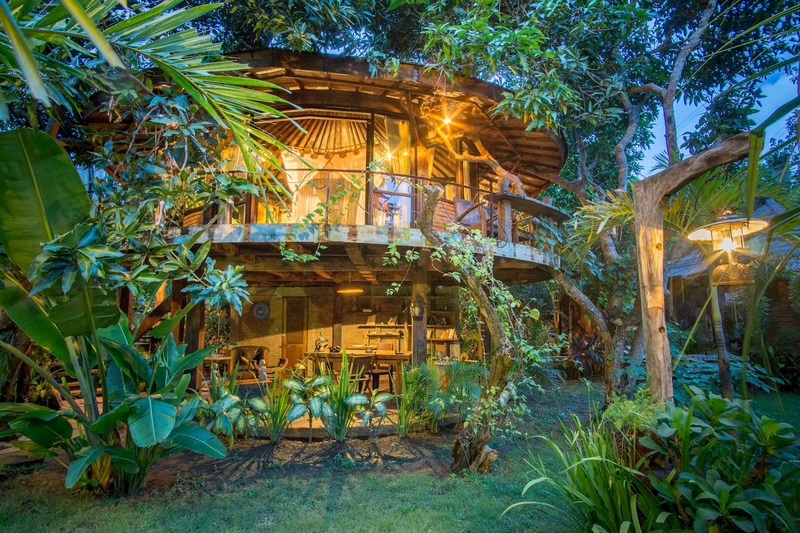 The space offers a 1 room tree hut with a queen-sized bed and the option for the owner to place a second queen size mattress outside in the deck for friends, but be warned they will be sleeping outside in nature and nature likes to bite! 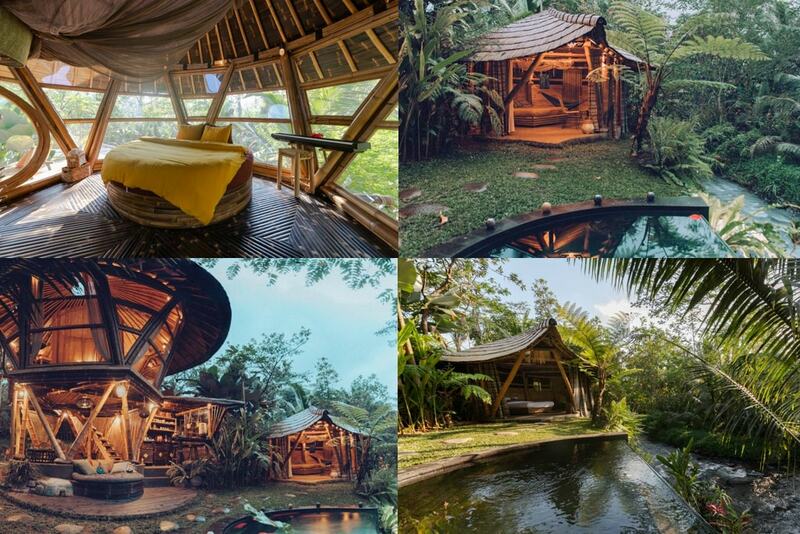 Why I'd like to stay: This place looks like some one just went crazy with bamboo trying to create the most insane building they could and what a building it is, built over 4 floors with stunning views of the sounding countryside and not to far from the action of Bali this place is a perfect base for family or friends looking for a social hang out. 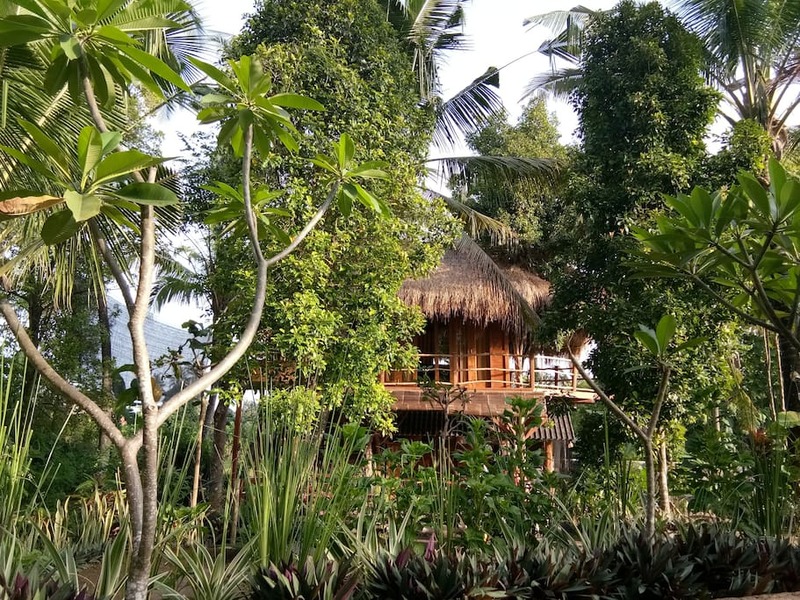 Why I'd like to stay: Located in the south of Bali on the peninsula of South Kuta this eco tree house and village is perfectly located for visiting the tourist spots yet being able to escape to your own tranquil retreat after. 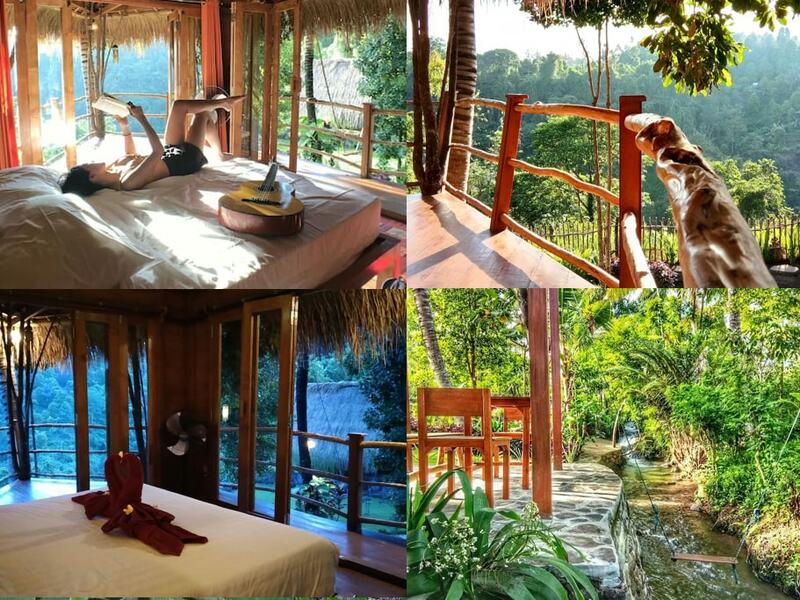 With a shared pool, on side restaurant and friendly village atmosphere this place receives incredible reviews and it is easy to see why from their photos. 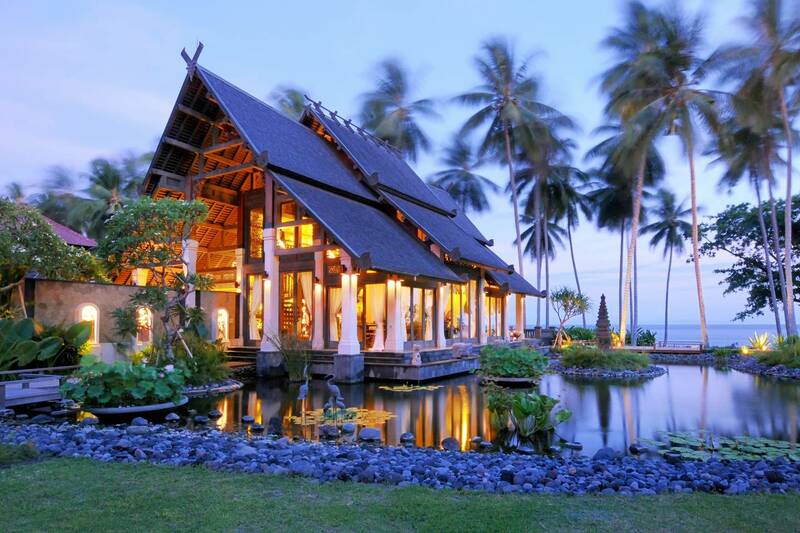 Why I'd like to stay: From the outdoor standalone bathtub to the luxurious pool this temple like AirBnB just looks incredible, with plenty of indoor and outdoor space to unwind in it offers the perfect escape from the world. Why I'd like to stay: This place might be styled from the outside like a hobbit outside but the inside is spacious and has ample room for you and your 15 guests. 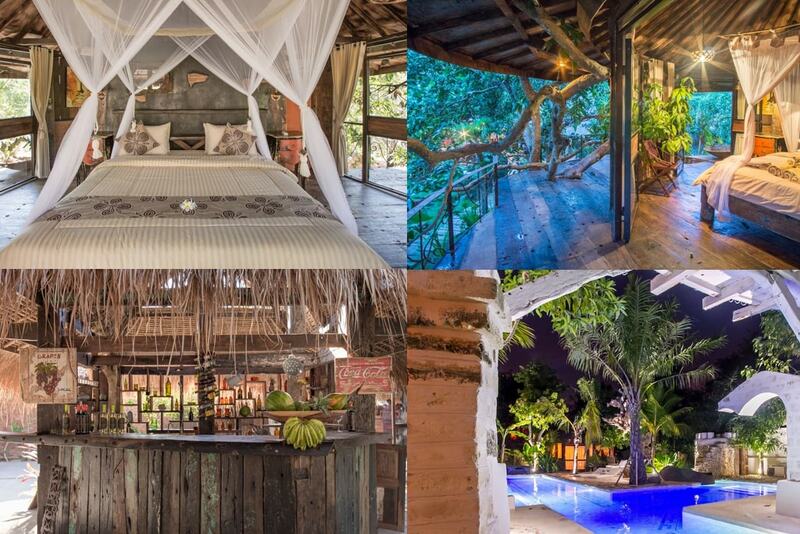 Imagine floating in that infinity pool over looking the jungle with a couple of local beers with your pals, if you manage to organise 16 people to go on holiday together then first bravo and second book this awesome pad! 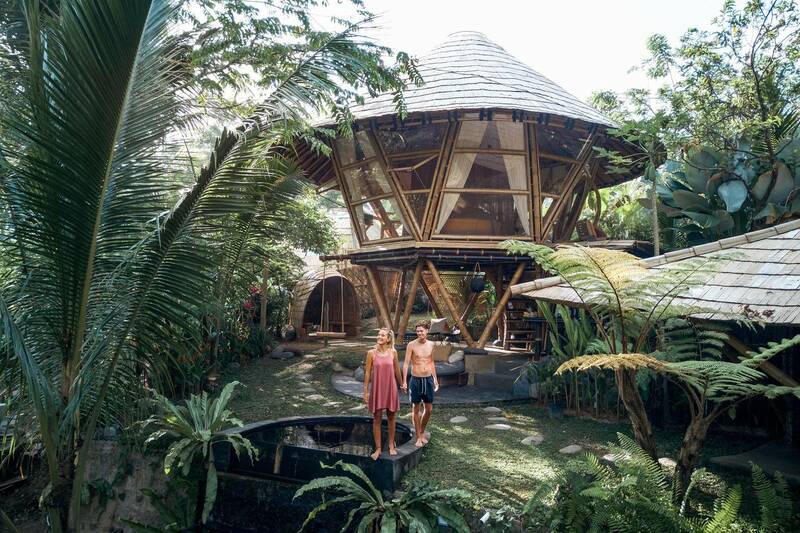 Why I'd like to stay: A trip to Bali does not necessarily mean being confined to the mainland instead get yourself on a speedboat and race off to this stunning tree house on the Gili Islands where pristine beaches and incredible snorkeling awaits. 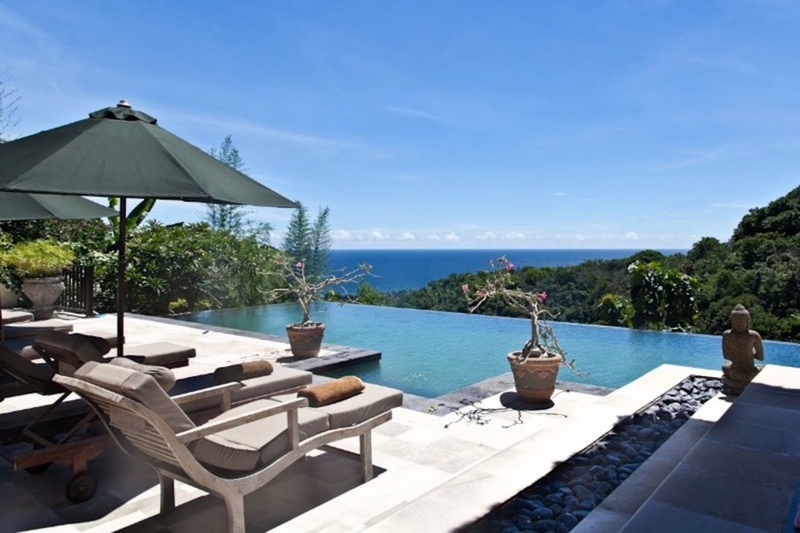 Why I'd like to stay: Just imagine sat on sun lounger looking out to that sea view or hanging out at the edge of the infinity pool with a couple of beers watching the sun go down! 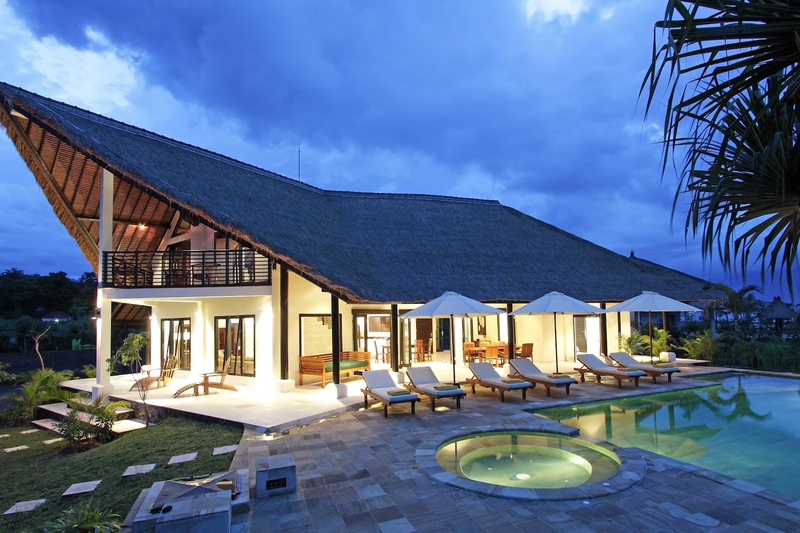 With plenty of space gather up all your friends and family and get this booked for one epic trip to Bali. Want to see some more Awesome AirBnB's picked by me then see "you may also enjoy" below or click on the tab at the top "Inspiration" and then "best of AirBnB".